The Breakthrough Series Audio lessons reinforce the Video lessons available on WeighDown ALL ACCESS. 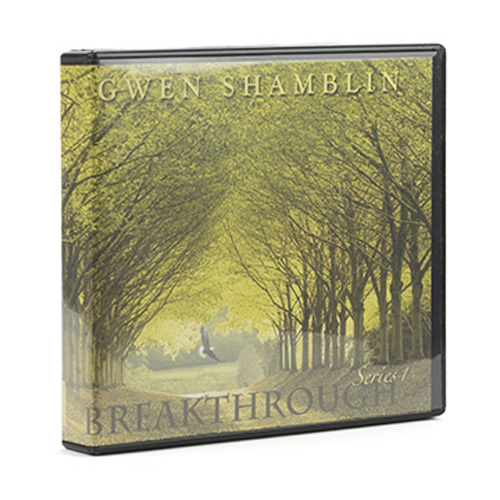 The Breakthrough Series is one of my ALL TIME favorite series by Gwen Shamblin. This CD set is perfect to listen to while driving in your car. I did not know how to give up control and allow God's Spirit to guide my life. Instead of replacing one sin for another, you will learn how to lay down all sin by using God's power. This powerful series will give you real fruit because you will learn how to stop being your own God. If you want the key to permanent weight loss, I recommend for the rest of your life listening to this series along with Weigh Down Basics and The Revolution Class. You will be set free from the slavery of overeating and any other addiction.